It takes a lot of practise to play a winning game of soccer. 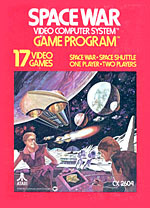 And what is true on your ATARI Video Computer System game. 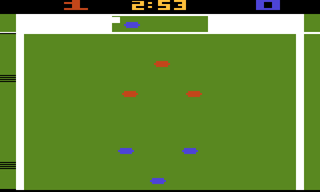 PELE'S SOCCER challenges you every inch of the way. Passing. Dribbling. Kicking. Blocking. Attacking. Defending. 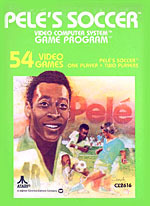 And with 54 separate games to choose from, even Pele himself finds plenty of challenging action. You're ready for the big jump. The longer you can wait to open your chute, the more points you'll score. Steer your chute against varying wind velocities as you guide yourself to the landing pad. Land on the Bull's-eye and get more points. But, if your chute fails to open - SPLAT! 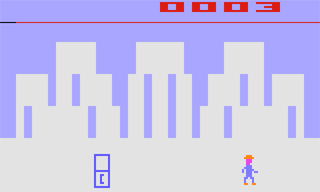 You and your favorite adversary pursue each other at breakneck speeds through big city streets. And fire missiles at each other from the bazookas on your hoods. The first to blast his opponent 25 times wins the ultimate chase scene. 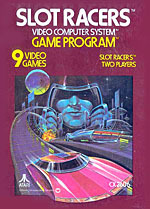 You can change the pace with four different street mazes, accelerating car and missile speeds, and varying missile paths. Master your Starship controls with a series of practise maneuvers. Once you have conquered all the techniques -like Hyperspace, Warp Drive and avoid the gravity pull of the Space Sun- you are ready to conquer the universe. 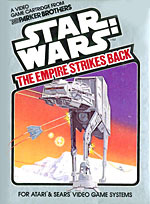 Launch your Snow speeder and attack the invading Imperial Walkers before they reach the Power Generator. Use the Force to assist you in your onslaught. When you're damaged land your ship on flat ground and repair it. May the force be with you. 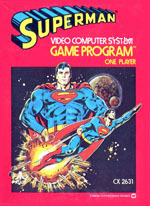 You're the "MAN OF STEEL". You're in your office at the DAILY PLANET, when you get a tip that LEX LUTHOR is about to blow up the Metropolis Memorial Bridge. Into a phone booth, on with your cape! Flying faster than a speeding bullet you use your X-RAY VISION to find the hideout of LEX LUTHOR and put the gang behind bars. But watch out for the deadly KRYPTONITE satellites! 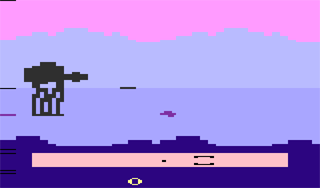 Fend off waves of invading aliens in this classic shoot 'em up. 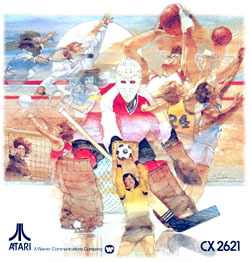 Great 2600 graphics and challenging, relentless game play. 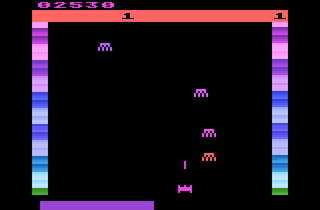 One or two player action. 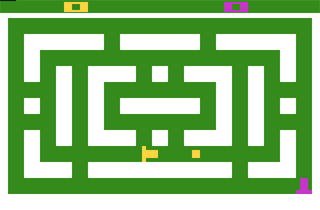 Test your skill through the many levels. 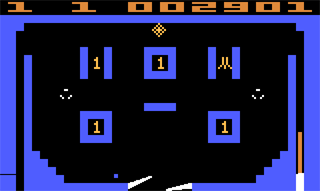 In this game there is a perspective drawing of four square boards or planes displayed on the screen, which is intended to create a three-dimensional effect. Each board is a 4x4 grid. 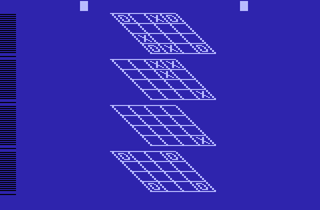 The object of the game is to place four X's or four O's in one horizontal, vertical or diagonal row. To do this you may use one plane or all four planes. 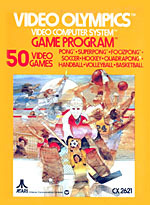 This Game Program Cartridge is the home of PONG, the original video game! 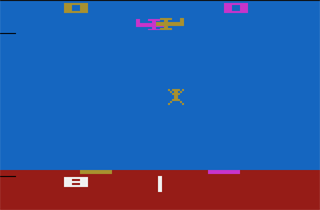 And SUPER PONG and FOOZPONG and on and on, for a total of 50 great Olympic games and game variations in eight main events. 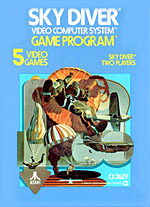 Play against the computer or up to three other competitors (Four-player games require a set of additional Paddle Controllers). 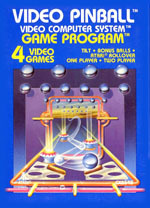 Okay, pinball wizards, get set for the ultimate challenge, complete with sounds and flashing colors. Pull back the plunger, release the spring, and shoot the ball. 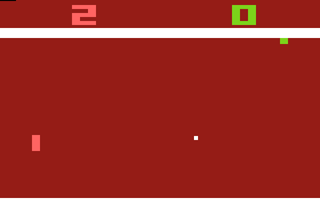 Hit bumpers, spinners, targets and rollovers to rack up points. You get three balls to start with. 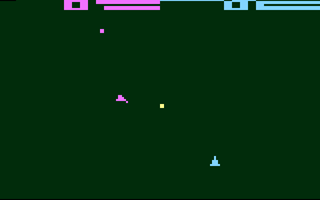 Hit the ATARI rollover four times and you get an extra ball. 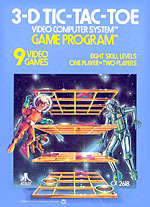 Play against the computer or try your wizardry against an opponent of your choice.